BOBOSTEPHANIE.COM - The Elegantology Party is Back!! 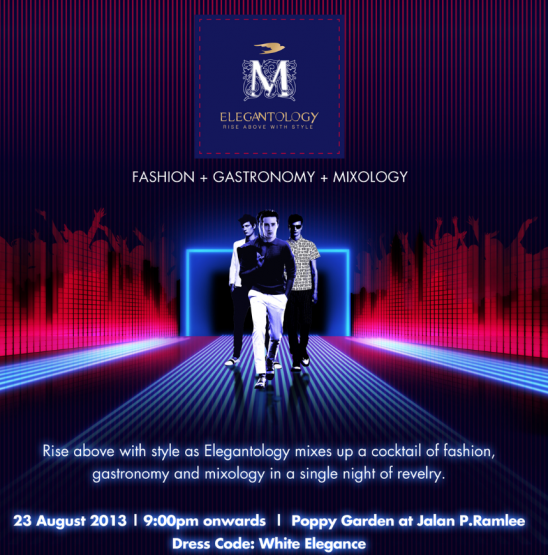 The Elegantology Party is Back!! I don’t really remember when was the last time I was invited to a fashion show/party, if I’m not mistaken the last one that I went to was back in the US. I was invited to a Betsy Johnson fashion show/party in a club in Detroit. I finally get a chance to attend one in KL! I’m pretty excited about it because of these three words party, drinks, and fashion! So, long story short, I will be attending the Elegantology party hosted by Xandria Ooi on the 23rd of August, which is this coming Friday, at Poppy Garden! 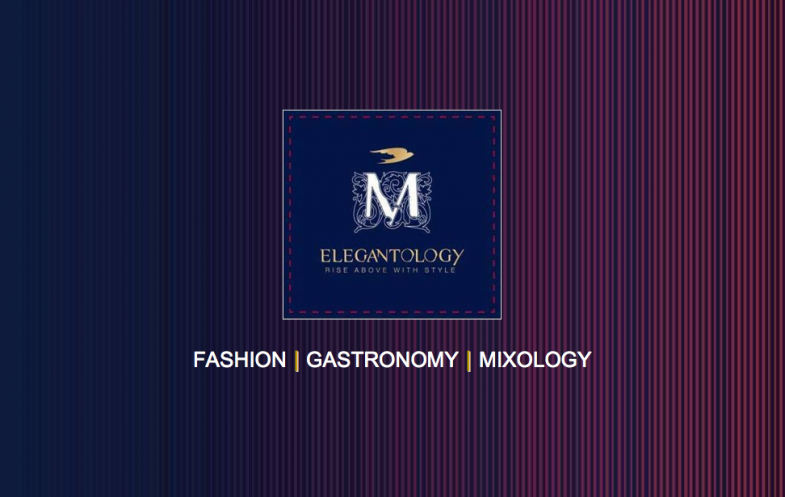 The Elegantology party is back again this month to celebrate a night of fashion, gastronomy and mixology. This round they will be about to check out Elegantology limited menwear collections designed by Daniel Chong, Hayden Koh & Michael Ong! Besides that, limited edition Martell VSOP will be served at the party too!! Alcohol is not enough to heat up the party without hot DJs spinning at the DJ desk right? DJ Faith (Malaysia) and DJ Zara Gift (Thailand) will be spinning too!! I cant wait to see everyone!!! Lets party like a rock star yo! The awesome thing about this party is that it’s open to public! Which means YOU get to party with me too! You know, showing your moves at the dance floor and enjoying the fashion show like a VVIP!! You can also bring your friends along with you since it’s a Friday night! WHO STAYS AT HOME ON A FRIDAY NIGHT?? Entrance to the event is by bottle purchase only! One more thing, the dress code is WHITE Elegance, so make sure you come with your best WHITE outfit ok! Remember to dress according to the theme ya because Elegantology will be giving away 6 prizes (A Nuit edition bottle of Martell V.S.O.P) to the top 6 “Most Elegant Men of the night”!! Have fun dressing up and see you on Friday!